It takes a host of people for Tenx9 to thrive: 9 tellers, a room full of willing listeners, venue staff to serve, and finally, the Tenx9 hosts who organize and facilitate what some audience members have referred to as “the best event happening in Nashville every month.” We thought we’d tell you a bit about the organizers and hosts behind Tenx9 (both the one in Nashville and the original in Belfast), the handful of folks who work hard to make sure these nights keep happening and the stories keep coming. Michael McRay started Tenx9 Nashville in September 2013 after a stroke of good luck connected him to Pádraig Ó Tuama, one of the Belfast cofounders, when he moved to Northern Ireland for grad school in 2012. Michael grew up in a storytelling family, hearing family tales around the table as often as the family gathered. He has come to see his vocation as telling stories that rarely get told, whether through his own writing or through providing a platform for others. He is the author of two books, an adjunct professor, peacebuilder, and lover of a good whiskey. If you surprised him at home, you’d likely find him singing and playing guitar, watching Netflix, or writing. You can follow him on his blog, or @michaeltmcray on Facebook, Twitter, and Instagram. Write to him at tenx9nashville@gmail.com. Like Michael, Rob McRay, comes from a storytelling family…actually, the same storytelling family. He’s Michael’s uncle. Rob currently works as executive director of Youth Encouragement Services, a nonprofit serving inner city youth; but prior to that, he was a minister for 30 years. His work as a minister nurtured his passion for storytelling as a way of sharing life, with all its joy and pain. He loves sports, music, and movies (especially if they involve laughter, or something blowing up)—and shares these loves with Judy, his wife of 35 years and the topic of several of his favorite stories. Gayathri Narasimham discovered Tenx9 Nashville in April 2016, and has been a regular attendee and an occasional storyteller. She grew up in Chennai, India, and in Nashville, TN, and loves the folklore of both continents. Gayathri is Associate Director at the Vanderbilt Institute for Digital Learning, and a researcher in developmental psychology. She is fascinated by the contexts of people, and what motivates their stories. I love what happens when everyday life is transformed to stories at Tenx9 events; and the audience, this mix of people from all walks of life sharing the space with the storyteller in that moment…creating art, evolving. John M. Sloop began attending Tenx9 in 2014 on the whimsical suggestion of a friend. Delighted by the first several months he attended, he also began telling stories. Sloop currently works a Vanderbilt University as Associate Provost for Digital Learning and Professor of Communication Studies. He is the author and editor of numerous books and articles. Outside of work, Sloop is an avid marathon runner, a possessed Chelsea Football Club supporter and a pretty awkward swimmer. He loves the way TenX9 takes the audience through a wide array of emotions each month. You can reach him at john.tenx9nashville@gmail.com. While I love the stories at each event, what I love even more is the community of warmth and support that is magically created around the storyteller. I feel fortunate to get to share that moment. Pádraig Ó Tuama is from Cork on the south coast of Ireland. Following a nomadic decade, he settled in Belfast in 2003. he met Paul Doran in 2010. In 2011, Tenx9 was born. Initially a night of 30 people in a small room in Belfast, it now regularly hosts audiences of up to 200 and, in addition to its monthly events, partners with festivals of politics, health, arts and culture. When not running Tenx9 events with Paul, Pádraig is the leader of reconciliation community Corrymeela and is a published poet and essayist. You can follow him on his blog, Facebook, and Twitter. Email him at tenx9belfast@gmail.com. 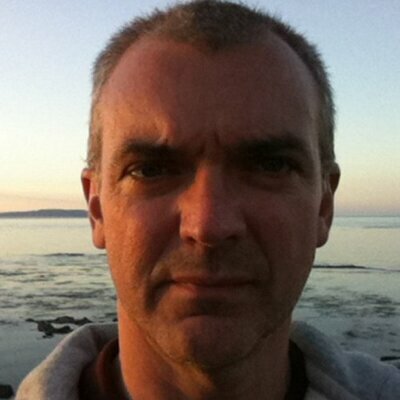 Paul Doran is a television news producer working in Belfast. He always thought he had had a fairly average life–one of five adopted children growing up in a working class area in a society torn apart by civil strife. But he later discovered this wasn’t necessarily a typical life experience and realized he had a lot of stories to tell. That love of story, a feature common to Pádraig too, was one of the impetuses that drove them to create Tenx9 –the desire to hear the unheard, untold true stories of the “ordinary” person. Nothing connects humans more than their shared humanity. You can follow Paul on Twitter. Send him a note at tenx9belfast@gmail.com.